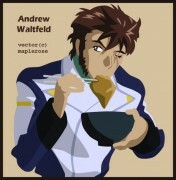 Mobile Suit Gundam SEED Destiny: KYAAAA... LOVE YOU SOOOO MUCH!!!!! Minitokyo »	Mobile Suit Gundam SEED Destiny Indy Art » Mobile Suit Gundam SEED Destiny: KYAAAA... LOVE YOU SOOOO MUCH!!!!! Well, actually it's Neji and TenTen but I changed it into Athrun and Cagalli... and add the kiddie background as I see it fits them..
lovely lovely kawaiiii! so sweet! i thought first that you got the chibi Athrun form PoT XD Tho Cagalli really looks CUTE! Oh gawd, it's soooo cute! so Cute! 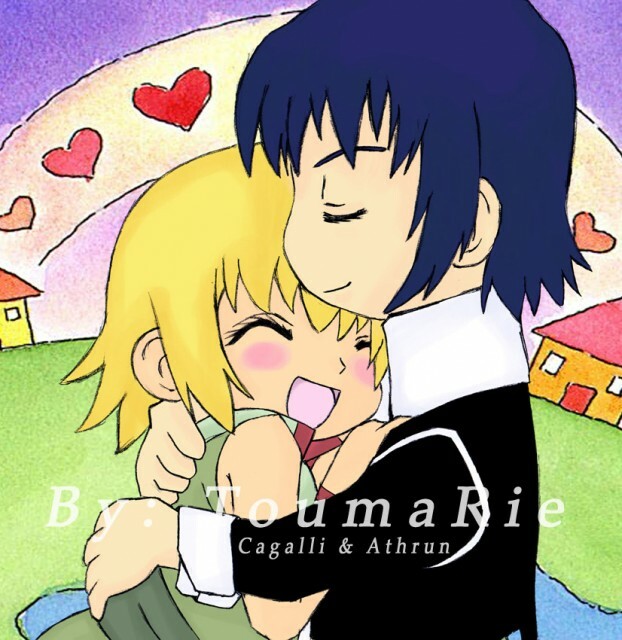 cagalli is so happy athrun looks so confident! Wowzers! This is an extremely cute doujin! I love Cagalli's expression when she's in athrun's arms! Its just sooooooooooooo cute! And athrun's expression~~ nyahahaha he has the confident look XD but in a cute cute way! Keep it up! Ten and Nenji huh? Frankly, I like that couple in Naruto. Anyway, Athrun and Cagalli here are just adorable. You totally achieved their total kawaiiness! Athrun's expression is kinda funny but Cagalli's is so cute! Quote by JCzalaTen and Nenji huh? Frankly, I like that couple in Naruto. awww.. so pretty! and cute.. i love cagalli's expression! XD... X3.. athrun's expression is like.. so proud.. hah.. very cute.. love the drawing.. fav!